Project ” Creation of a synergy platform for the public security in the Latvian and Lithuanian Eastern border territories” has been elaborated basing on the most actual problems in previous years, which can only be effectively solved at the cross-border level. The common challenges are lack of institutional cross-border cooperation combating cross-border crime, public security and illegal immigration, where Eastern Latvia and Lithuania are used as transit areas for further crime moving to Europe. Joining the resources of Latvian and Lithuanian law enforcement authorities and local municipalities, the following common solutions will be implemented for institutional capacity building and cooperation on cross-border level: creation of the synergy platform for the state security, strengthening and enhancing cooperation between citizens, law enforcement authorities and local governments. There will be installed the intellectual night and day video surveillance systems with state vehicle registration number recognition on all international routes and domestic transit routes in Latvian and Lithuania Eastern border territories, as well as significantly improved the technical equipment for police and border guard in both countries in order to combat the cross-border crime. During 2 years the security information campaign “Look and speak!” will be implemented. The cross-border cooperation between project partners is strongly based on the Schengen Borders Code requires strengthening the area of ​​the border through operational and cross-border cooperation in preventing and combating serious and organized crime, including human trafficking and smuggling. Partners of the Latvia-Lithuania programme project “SYNERGY FOR SECURITY” may be pleased that most of the intentions have been successfully implemented, large-scale purchases of modern technologies have been made. Great attention has been paid to the development of technical tools. As a result, the number of violations detected on the “green” border has doubled. In 2018, the staff of the Latvian State police Latgale department took out 15 580 588 pieces (compared to 7 470 815 years earlier – in 2017) and 25 615 l of smuggled alcohol (against 15 457 liters in 2017). The volume of oil products withdrawn has also increased from 34 255 liters of illicit fuel in 2017 to 45 242 liters in 2018. The project is co-financed by the Latvia-Lithuania programme. Project Lead partner is Latvian State police. films were launched. They are designed to reach the public through social networks and social stands. 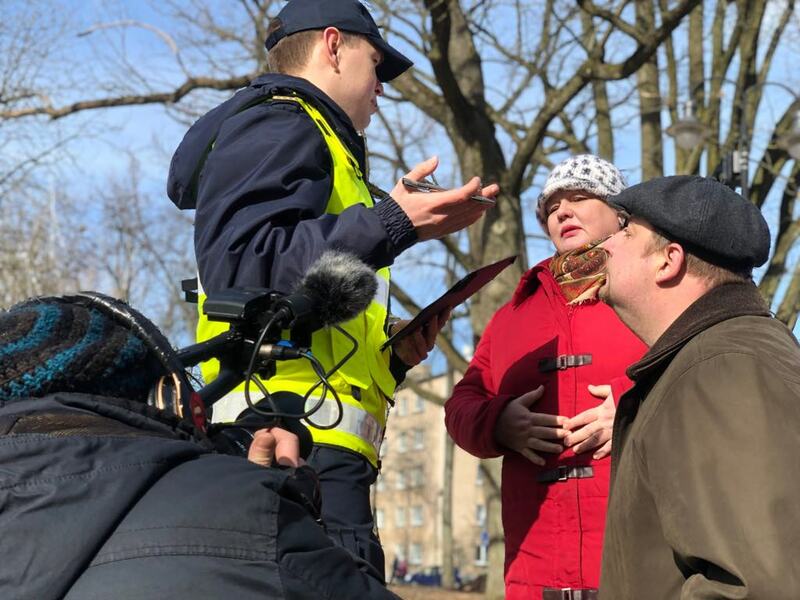 In the first short films in addition to the actors from Daugavpils professional theater and Krāslava amateur theater, the officials of the Latgale Regional Department of the State Police of Latvia – took part. And they did it great! 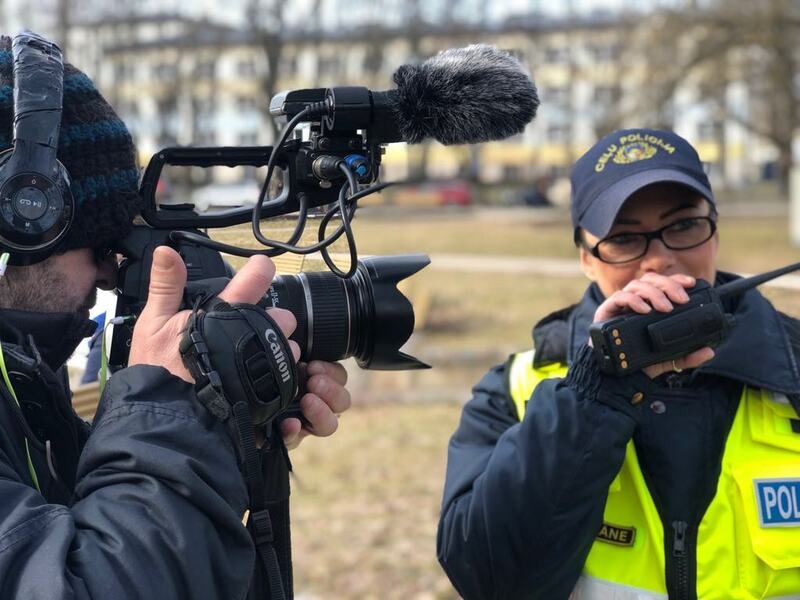 Within the framework of the project “SYNERGY FOR SECURITY”, the next short films are being created to address the public through both social networks and social stands. 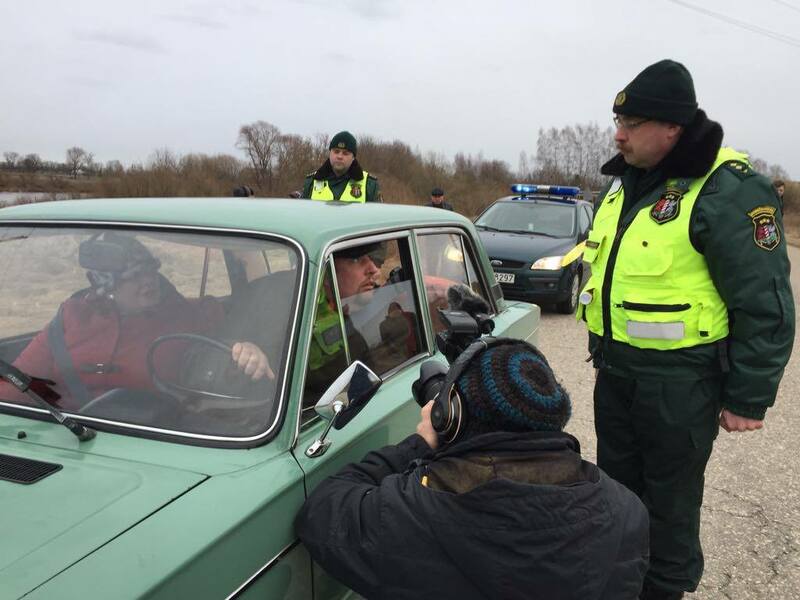 In addition to the actors from Daugavpils professional theater and Krāslava amateur theater, the officials of the State Border Guard of Latvia – took part. 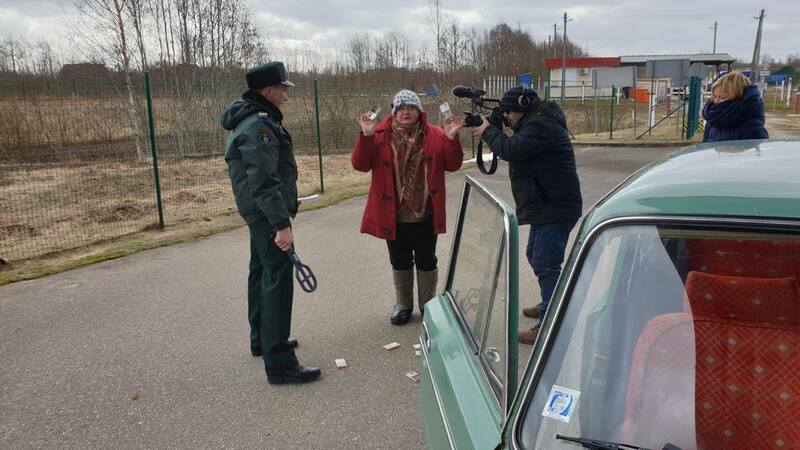 It is gratifying that the security institutions in Latgale are full of hidden actor talents! Technology comes to the rescue! 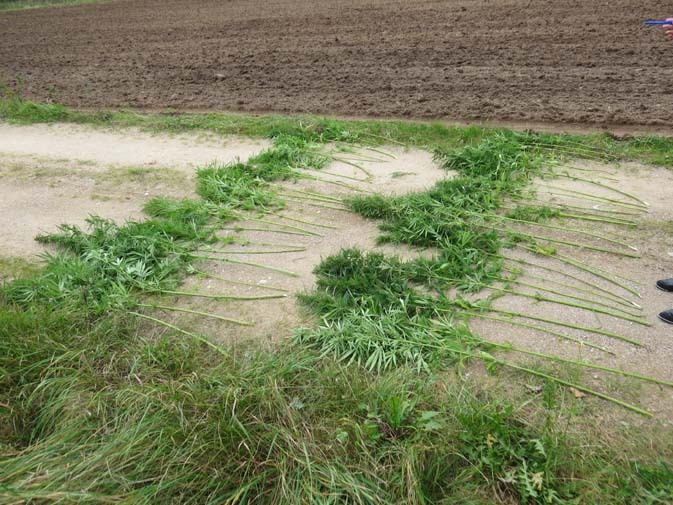 In 2018, using the latest technologies successfully, the officials of the Latgale Regional Department of the State Police of Latvia have removed 15 marijuana farms altogether. In 9 cases, offenders brought drugs into the open air. By comparison, in 2017, 9 marijuana farms were liquidated. As the ombudsmen commented, fortunately, not drug addicts are getting more, but police capabilities and technological support have increased significantly. 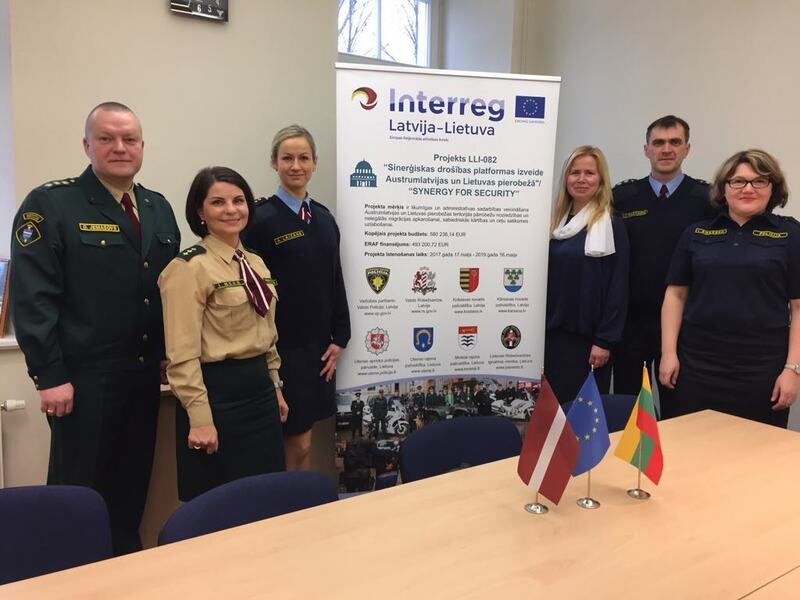 The goal of the project “SYNERGY FOR SECURITY” is not only to improve public safety and to reduce crime in the Latvian-Lithuanian border, but also to promote cooperation between law enforcement agencies and local people.The project is implementing the information campaign “Look and speak!”. Within the campaign, 20 short films will be created to address the public through both social networks and social stands. The theme of short films was chosen according to the current problems near the Latvian-Lithuanian border. The theme is created by listening to the representatives of the ombudsmen and local governments of both countries, as well as taking into account the information needs of the society. Information campaign short films will focus on current topics such as smuggling of tobacco products and other excise goods, illegal immigration, identification of suspicious and dangerous persons, theft of agricultural machinery, corruption, unintentional crossing of the border and deception. It is also planned to devote some short films to inform the residents about the order and requirements of the border zone regime, the activities of the State Border Guard immigration service and about education opportunities in the services of the Latvian and Lithuanian interior ministries. Any citizen who follows developments in both countries and at least at the news headline level is aware of ongoing processes will understand that the above topics have been selected based on current developments in the border area of Latvia and Lithuania. The short films are intended to be made in the style of detective genre, including educational and informative elements for conveying important messages to the audience. On February 11, representatives of the State Police of Latvia and the State Border Guard met at the Latgale regional administration of the State Police and jointly discussed the progress of the campaign and exchanged ideas and recommendations for the maximum effectiveness of the information campaign. This publication has been prepared with financial support from the European Union. The content of the publication is entirely the responsibility of the State Police of the Republic of Latvia, and does not constitute an official position of the European Union. Duration: 24 MONTHS (May 17, 2017-November 16, 2019) The project is co-financed by the Latvia-Lithuania programme. Project Lead partner is latvian State police. Collaboration and Technology – These are the key words to explain last year’s performance in protecting and strengthening the state border. Partners of the Latvia-Lithuania programme project “SYNERGY FOR SECURITY” may be pleased that most of the intentions have been successfully implemented, large-scale purchases of modern technologies have been made. Great attention has been paid to the construction of the border infrastructure, as well as to the development of technical tools. As a result, the number of violations detected on the “green” border has doubled. If 104 third-country nationals were detained for illegal crossing of the “green” border in 2017, then in 2018, 199 third-country nationals were caught in this illegal activity, in close cooperation with their counterparts from neighboring countries. Vietnamese nationals still dominate among illegal border offenders. In 2018, several cases of illicit movement of tobacco products have also been detected in Latvia, namely 17 persons were detained illegally on the green border last year and almost a million smuggled cigarettes were removed. 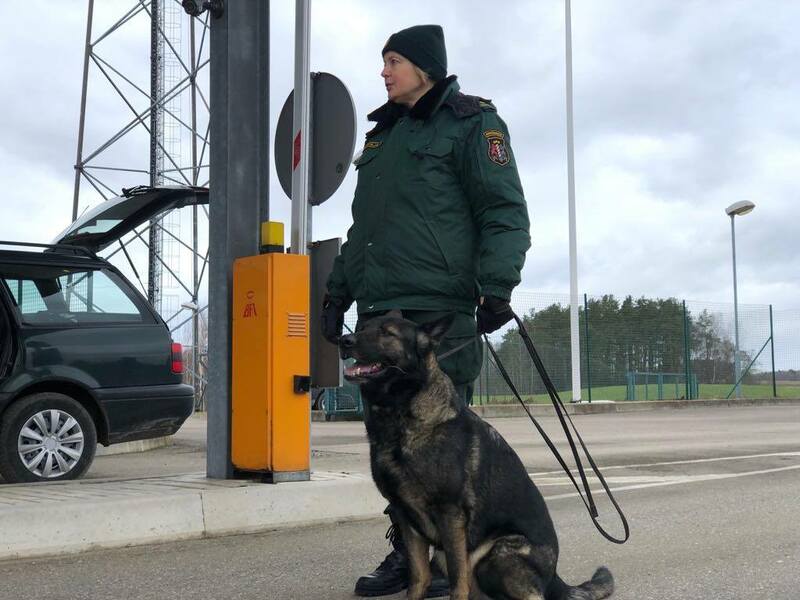 In 2018, the Lithuanian State Border Guard detected 67 border violations at the border with Belarus and detained 121 border offenders. 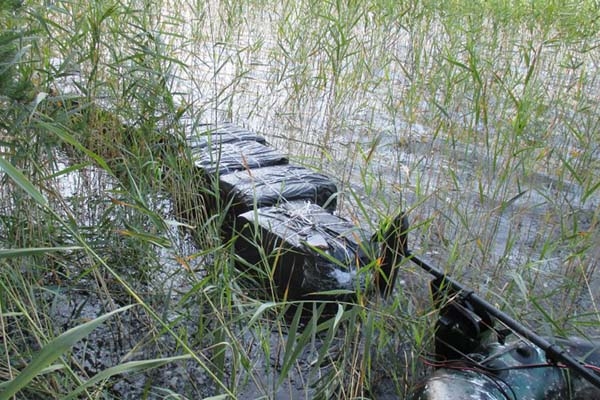 In the said border section, 184 cases of smuggling to Lithuania were blocked last year. The high number of detained immigrants is due to the effectiveness of the border guard. An invaluable support for border guarding is the construction of infrastructure along Latvia’s external border and also special technical tools such as video surveillance or presence detection systems. Presence detection systems allow you to see not only illegally border crossers or smugglers, but also often “four-legged” offenders. Collaboration and Technology – These are the key words to explain last year’s performance in protecting and strengthening the state border. Already since 2015, great attention has been paid to the construction of the border infrastructure, as well as to the development of technical tools. As a result, the number of violations detected on the “green” border has doubled. If 104 third-country nationals were detained for illegal crossing of the “green” border in 2017, then in 2018, 199 third-country nationals were caught in this illegal activity, in close cooperation with their counterparts from neighboring countries. Vietnamese nationals still dominate among illegal border offenders. Joint forces – for joint security! On November 22-21, 2018, a thematic meeting within the INTERREG V-A Latvia-Lithuania programme project “SYNERGY FOR SECURITY” was held in Moletai, Lithuania. The meeting was held by Latvian and Lithuanian ombudsmen on illegal methods for combating the movement of excise goods. The ombudsmen from both countries shared their experience and exchanged ideas on solutions for improving civil security and road safety in the eastern border regions of Latvia and Lithuania. Bronyslovas Pokobutas, representative of the Criminal Investigation Board Chief investigator, noted that at present the most problematic situation is on the border with Belarus and less on the border with Russia. This is likely to be explained by price differences and changes in Russia. 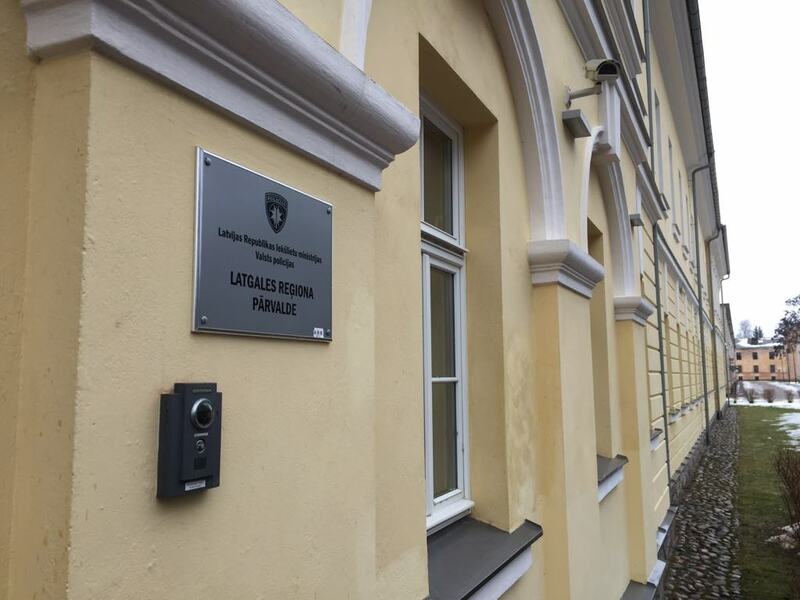 About the experience of Latvia was informed by the chief inspector of the Criminal Investigation Department of the State Border Guard Daugavpils Artūrs Paukšts. He presented the practical results of the action – many videos and photos of detected cases of cigarette smuggling. Robertas Šimulevičius, the Head of Lithuanian Criminal Police Office’s Criminal Intelligence Training Center, attaches particular importance to the “follow the money” method, which is used to ensure the reparation of the harm done by the perpetrators and to prevent the further use of the proceeds of crime, as well as legalization. You can really do a lot of things together! “You can really do a lot of things together – we want and can prove it!” – this is the general conclusion of the recent Management Group IV meeting within the INTERREG V-A Latvia-Lithuania Programme project LLI-082 „SYNERGY FOR SECURITY”. On October 24, 2018 in Utena, Lithuania held its fourth meeting of the project management group. It took place in the Utena district administration building. Jonas Slapšinskas, Director of the Utena District Municipality Administration, spoke in an introductory speech and wished for constructive cooperation. The guests also received souvenirs with the symbols of Utena. The project partners presented the accomplishments of the 3rd project during the reporting period, organized public procurement procedures, as well as actualized problems and challenges. Partners have purchased security equipment used to protect the EU’s external borders, installed video surveillance cameras and social stands in schools. Police and Border Guard visits to schools were discussed when discussing security issues. In the course of the negotiations, various problems encountered during the implementation of the project. There were also highlighted and the causes and solutions were sought. For example, the technology procurement planned by the project is delayed due to improvements in the specifications of intensive technologies, since, of course, all project participants want to purchase only the most advanced technologies. Jānis Anspoks, Chief of Latgale Regional Department of the State Police of Latvia emphasized cross-border co-operation between law enforcement agencies, for example, the last joint patrol of the two countries’ police was during the visit of the Pope of Rome to Aglona (Latvia) at the end of September. Romualds Stašāns, Border guard of Latvia, said the border guards of both countries – Latvia and Lithuania are jointly patrolled regularly – at least once a month. If necessary, they are ready to join forces. The project manager Ilze Stabulniece praised the project partners for compliance with the timetable for implementation of the various project activities and the reporting schedule. Representatives from all project partners discussed about the development of the project and about the role of project partners role in it. 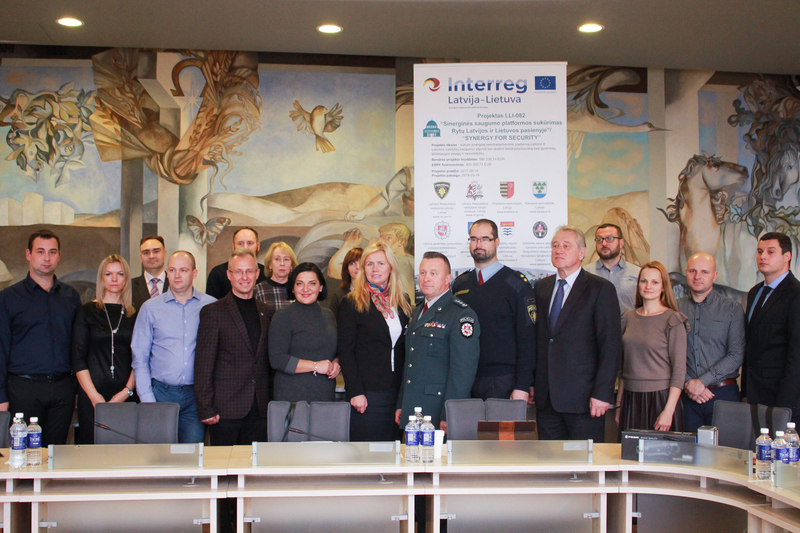 The third implementation period of the INTERREG V-A Latvia-Lithuania programme project “SYNERGY FOR SECURITY” has already come to the end, when 8 heads of law enforcement agencies and municipalities in Latvia and Lithuania met in Moletai municipality (Lithuania) on November 8, 2018. The partner informed about the achievements in implementing the project, buying equipment and implementing measures to achieve a common goal in the fight against cross-border smuggling and illegal migration. Purchased night vision and other equipment are used in the work of law enforcement agencies and public order provision in local governments. Vytautas Vaiškunas, the police chief of the Utena region of the Republic of Lithuania, emphasized the acceleration of the data exchange flow at the international level. This can be achieved by reducing bureaucratic barriers as they hinder information exchange. The closest event within the project is the thematic meeting on the the movement of illegal excisable goods across the EU border, which will take place on November 22-23 in Lithuania. 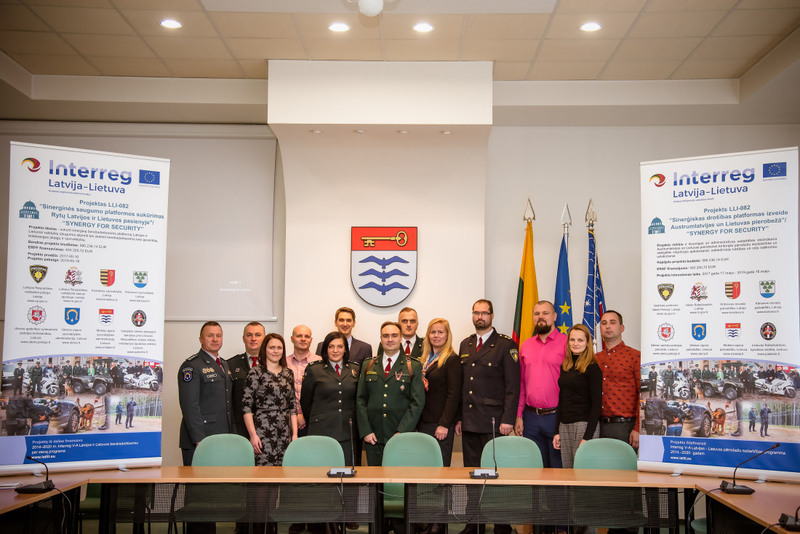 The third implementation period of the INTERREG V-A Latvia-Lithuania programme project “SYNERGY FOR SECURITY” has already come to the end, when 8 heads of law enforcement agencies and municipalities in Latvia and Lithuania met in Moletai municipality (Lithuania) on November 8, 2018. The partner informed about the achievements in implementing the project, buying equipment and implementing measures to achieve a common goal in the fight against cross-border smuggling and illegal migration. Purchased night vision and other equipment are used in the work of law enforcement agencies and public order provision in local governments. Vytautas Vaiškunas, the police chief of the Utena region of the Republic of Lithuania, emphasized the acceleration of the data exchange flow at the international level. This can be achieved by reducing bureaucratic barriers as they hinder information exchange. The closest thematic meeting will take place in Lithuania at the end of November and its theme will be methods for combating illegal movements of excise goods. On Friday, at August 31, a State Police seminar was organized within the framework of the Latvia-Lithuania programme project “SYNERGY FOR SECURITY”. Meeting was held in Medumi and was organized by the Latgale Regional Directorate. The State Secretary of the Ministry of Interior Dimitrij Trofimov emphasized the importance of the exchange of data between Latvia and Lithuania, which is to be obtained from intelligent video surveillance systems with the vehicle’s state registration number software. However, as recognized by all the law enforcement authorities, the capacity of the ombudsmen of both countries and communication activities are as important as investment in infrastructure. Be attentive – be safe! Ticket from Latvia to Vietnam with the smallest package of travel offers does not reach up to 3000 euros. Ticket from Vietnam to Latvia, without a tourist package, in one direction and possibly for a lifetime – 8000 Euro! Don’t get involved in this asymmetric “tourism business”! Don’t let it expand in Latvia! 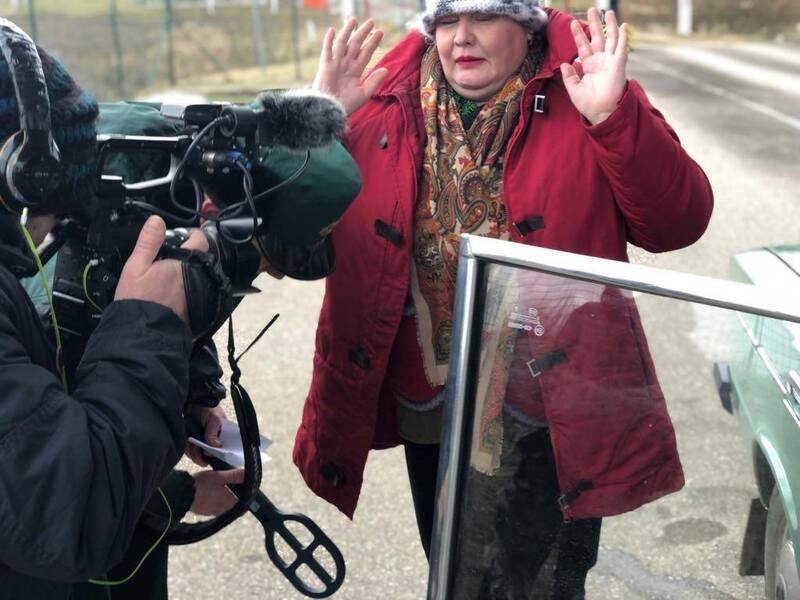 Both the border guard and the police have repeatedly acknowledged that the border area of Latgale is a huge temptation and an object of interest to smugglers and illegal immigrants. It turns out that figures can give you a false impression. If 106 of violators of illegal “green” borders were arrested on the eastern border of Latvia in 2017, then in the first half of this year the State Border Guard detained 101 illegal immigrants. However, in terms of numbers, immigrants become less. The number of large imprisoned immigrants was caused by the effectiveness of the border guard operation. Thanks to the efforts of the security authorities, investment in new technologies and successful cross-border cooperation, the flow of illegal traffic has been greatly reduced. From the point of view of illegal immigration, the most dangerous is the border between Latvia and Russia. People cross the border illegally mostly in places where it is very difficult to move, they are exhausted, cold, hungry and emotionally aggravated. Often, these people, after crossing the border, are trying to look for a place where they can unnoticed to heat, change clothes and eat. The local people have assessed the efforts of the border guards, and there is an enormous number of cases where local people report directly to border guards about the movement of strangers or foreign cars and this has really helped to identify illegal immigrants – 90 percent of them were detained right after crossing the “green” border in the border zone or after persecution near the border area. The State Police emphasizes the importance of involving local people. Then more observational eyes we have, the more secure our life in the border area will be. Look and speak! Latvia and Lithuania are currently implementing an ambitious, more than half a million euros project “Creation of a synergy platform for the public security in the Latvian and Lithuanian Eastern border territories” involving Latvian and Lithuanian law enforcement agencies – Police and Border Guard, as well as four municipalities located at the intersection of strategic roads between Latvia and Belarus and Latvian-Russian borders. 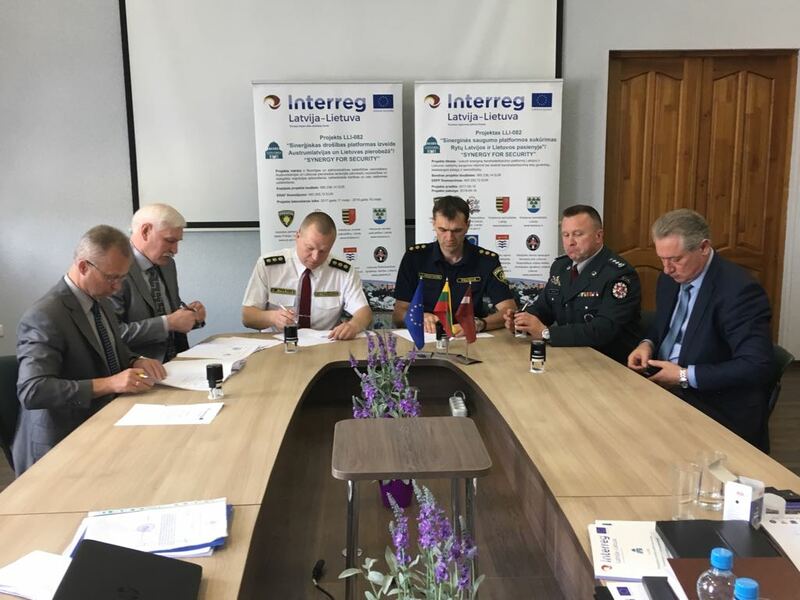 INTERREG V-A Latvia-Lithuania Programme project LLI-082 “Creation of a synergy platform for the public security in the Latvian and Lithuanian Eastern border territories”. Budget: 580 236,21 EUR 85% ERDF funding, 15% national co-financing (incl. state co-financing – 5% in LV, 7,5% in LT) Duration: 36 MONTHS (May 17, 2017-November 16, 2019) The project is co-financed by the Latvia-Lithuania programme. Project Lead partner is latvian State police. 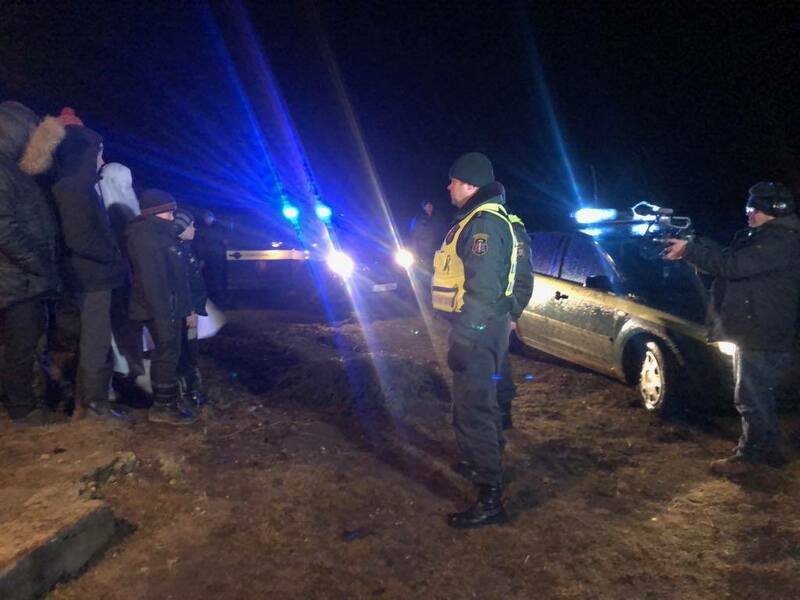 Both the border guard and the police have repeatedly acknowledged that the border area of Latgale is a huge temptation and an object of interest to smugglers. It is planned to build a fence at the border with Belarus of 27 million euros. This will largely solve the problem of smuggling. The fence will not be visually much different from the fence flowing on the Russian border. But it will be much more complicated. Thanks to the efforts of the security authorities, investment in new technologies and successful cross-border cooperation, the flow of illegal traffic has been greatly reduced. However, fence is not the main vehicle for dealing with border guards and smugglers. The State Police emphasizes the importance of involving local people. It turns out that figures can give you a false impression. If 106 of violators of illegal “green” borders were arrested on the eastern border of Latvia in 2017, then in the first half of this year the State Border Guard detained 101 illegal immigrants. However, in terms of numbers, immigrants become less. The number of large imprisoned immigrants was caused by the effectiveness of the border guard operation. Thanks to the efforts of the security authorities, investment in new technologies and successful cross-border cooperation, the flow of illegal traffic has been greatly reduced. The question – “illegal immigrants”, “irregular” or “undocumented” migrants? Great importance of used teminology while conversation with different categories of migrants. Language shapes people’s perceptions. Discriminatory language in reference to undocumented migrants leads to perceptions and actions which negatively impact the daily realities of undocumented migrants. Language is constantly evolving. The battle for terminology is a battle for dignity, humanity and respect. High Commissioner for Human Rights Navi Pillay on 22 September 2009 stressed that terms such as “illegal immigrants” should be avoided and replaced by the internationally accepted definitions of “irregular” or “undocumented” migrants. December 21, 2007. Latvia and Lithuania joined Schengen area (no control procedures performed at borders). One more wall falls and one more gate opens. Of course, total number of persons crossing the borders increases year by year in both countries. For example: 2016 – 9,8 mln. travellers, 2017 – 10,2 mln. travellers crossed LTU border. In the same time for different reasons were refused to enter Lithuania (EU) in 2016 – 4579 travellers and in 2017 – 5182 travellers. The fact that illegal immigrants entering to one of EU/Schengen countries could freely travel within EU/Schengen countries raises necessity to tighten random checks at EU internal border, also at Lithuania – Latvia border. To perform it better it is needed to consolidate efforts of both countries by implementing effective cross – border cooperation mechanisms, e.g. Joint operations, Joint patrolling etc. We invite colleagues from the Latvian and Lithuanian law enforcement agencies, local government representatives as well as local border residents to work together to support and strengthen each other. Paraphrase the words of General Bolstein – Joint forces – for joint security! Both the border guard and the police have repeatedly acknowledged that the border area of Latgale is a huge temptation and an object of interest to smugglers and illegal immigrants. However, thanks to the efforts of the security authorities, investment in new technologies and successful cross-border cooperation, the flow of illegal traffic has been greatly reduced. 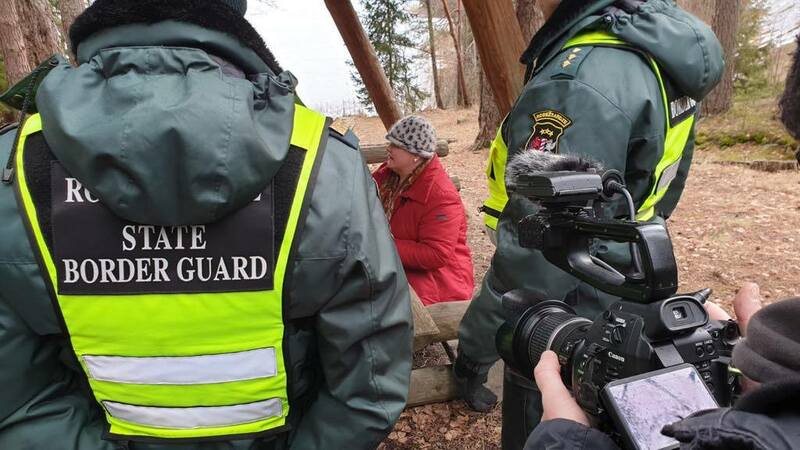 This is also confirmed by statistics – if a record number of violators of illegal “green” borders -476- were arrested on the eastern border of Latvia in 2015, then only 45 Vietnamese citizens were detained during the first five months of this year. The State Police emphasizes the importance of involving local people. Therefore, we invite everyone living at the border – do not be indifferent! Look and speak! Statistics are inexcusable – in 2018, the number of theft of tractor antennas and monitors has increased – from the beginning of the year until middle of May, eight trucks and five mini tractor stolen were found in Latvia, as well as eight criminal proceedings were commenced. The experience of previous years shows that especially high crime risks lie in the near the Lithuanian border. The State Police emphasizes the importance of involving local people, for example, by reporting to security authorities if unknown people or suspicious cars are near a farm or a tractor machine.Then more observational eyes we have, the more secure our life in the border area will be. Therefore, we invite everyone living at the border – Look and speak! The geographic position of the border area of Latvia and Lithuania at the EU external border imposes additional obligations on law enforcement agencies in protecting national security comparing, for example, with France or Germany, which do not have an EU external border at all. 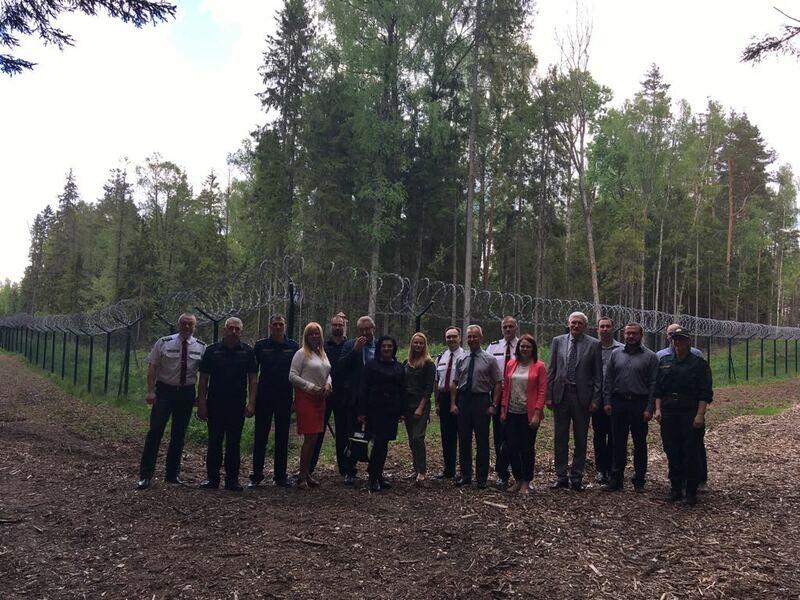 The Latvian and Lithuanian Police and the Border Guards are currently implementing an ambitious project “Creation of a synergy platform for the public security in the Latvian and Lithuanian Eastern border territories”, compiling forces, developing new methods and tactics for the fight against illegal migration. On April 24-25, 2018, Krāslava region a training with both sides involved were carried out, examining both binding legislation and analyzing the shortcomings in it, describing the types of delinquency, their changes and analyzing their trends. 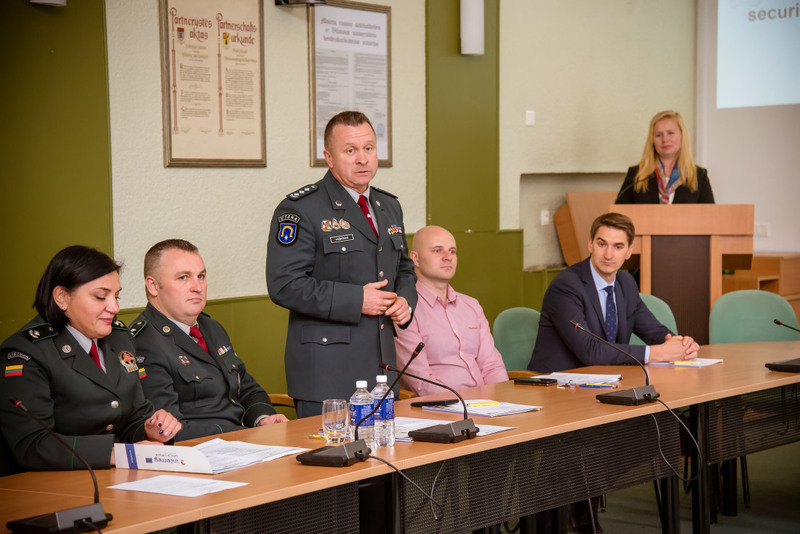 At the meeting, an analytical game was also launched in the discovery of complex delinquencies, where the joint border police of the Latvian and Lithuanian Police and the Border Guards played an important role. 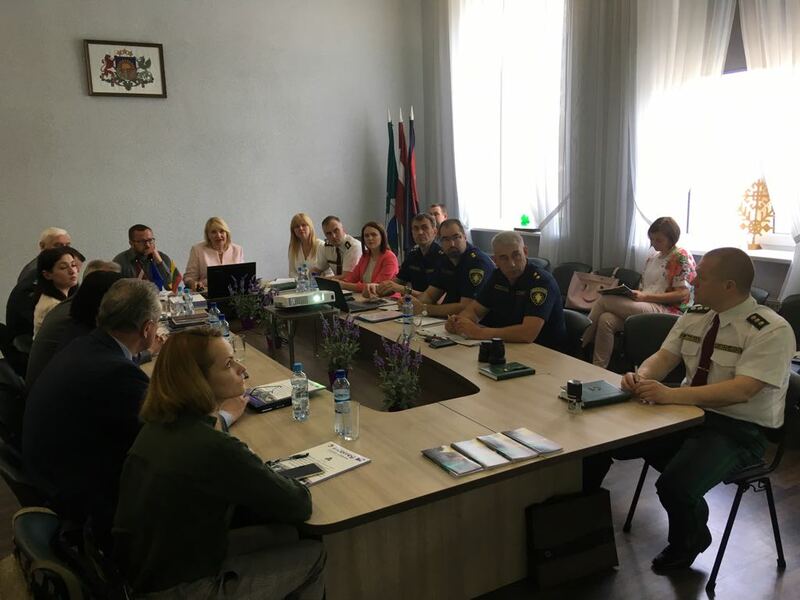 On May 24 and 25, a training workshop within the INTERREG V-A Latvia-Lithuania programme project “SYNERGY FOR SECURITY” took place in Kraslava district. 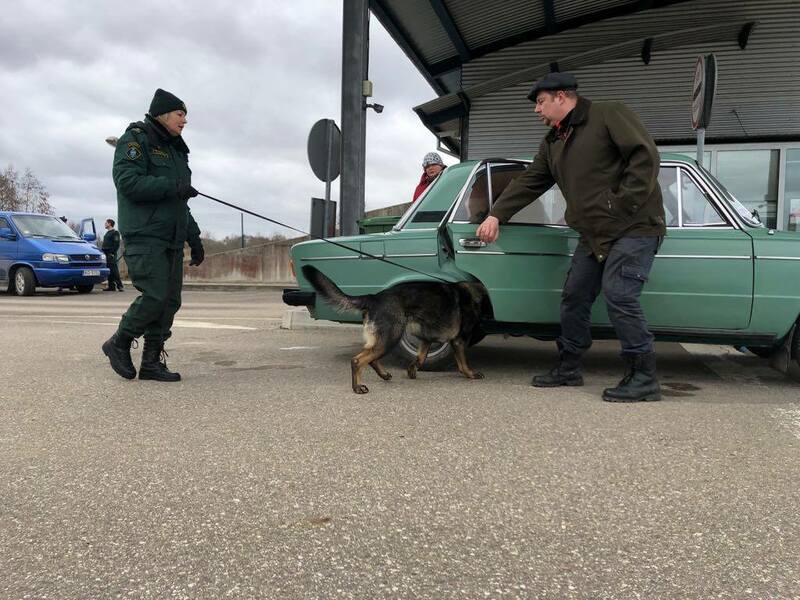 Representatives of the Latvian and Lithuanian Police and Border Guard were introduced to the use of the newest technologies in the law enforcement and border guard institutions, with the latest data analysis methods, using information technologies in criminal investigations. Along with theoretical studies in the seminar, a lot of attention was devoted to practical classes. The latest technology was presented: technical capabilities of the drones, stationary and mobile devices that help identify and distinguish official identity documents from counterfeits, night vision equipment, etc. In the evening, practical classes were organized. The training task was to find employees hidden in the forest using thermovisors or a binocular with a thermovisor function. 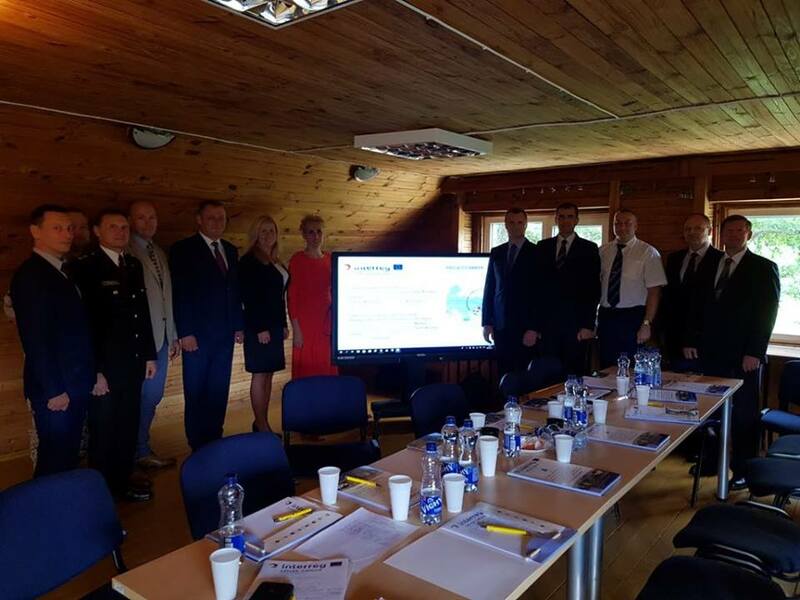 On May 16, 2018, the II meeting of the steering group within the INTERREG V-A Latvia-Lithuania programme project “SYNERGY FOR SECURITY” took place in Karsava district. The report of the implemented project during the 1st year was completed over the course of several hours because in fact that the project was implemented through a study visit to the Netherlands and Germany, an experience exchange tour on intelectual video surveillance systems in Latvian-Lithuanian border territory, as well as thematic meeting on illegal immigration. As the project partners first visited Karsava municipality, city council management surprised with the impressive program. The visitors had a unique opportunity to visit at renewed Latvian-Russian border line in Aizgārša border control point, to visit the Malnava Collegue, to get an insight into the grand development plans of Ltd “Latgales dārzeņu loģistika”, and, of course, to enjoy the true Latgale hospitality at bakery “Dzīļu maiznīca”. On May 7-11, 2018, representatives of the Latvian and Lithuanian Police and Border Guard visited a Kingdom of the Netherlands and Germany. During the visit, the delegation visited Europol headquartered in The Hague, Netherlands. Europol’s objective is to support and strengthen cooperation between the competent authorities of the Member States by preventing and combating organized crime, terrorism and other forms of serious crime affecting two or more Member States, as well as providing strategic analysis and threat assessment. Latvia at Europol is represented by the State Police Officer Andrejs Matīss who informed the participants of the study trip about the possibilities of Europol support, provided both methodological and material technical assistance in the investigation of criminal proceedings and operational activities in case of detection of international – cross-border crime. Study trip is organized within the framework of the Latvian-Lithuanian program “SYNERGY FOR SECURITY”. The Latvian State Police are the lead partner of this project. Latvia and Lithuania are currently implementing an ambitious, more than half a million euros INTERREG V-A Latvia-Lithuania Programme LLI-082 “SYNERGY FOR SECURITY” project “Creation of a synergy platform for the public security in the Latvian and Lithuanian Eastern border territories” involving Latvian and Lithuanian law enforcement agencies – Police and Border Guard, as well as four municipalities located at the intersection of strategic roads between Latvia and Belarus and Latvian-Russian borders. “Intelligent” CCTV cameras, border guards and policing equipment, investments in the training of security staff – all this will bring results. However, the concept of synergy in the project title has not been chosen by chance. Synergy is not just a word. What is synergy? Mathematically it might look surprising: 2 + 2 = 5, or maybe 50 or even 100. The definition of synergy is the result is bigger than the sum of the contribution of all the parties involved. In other words, sometimes 1+1 doesn’t equal 2 but 5. 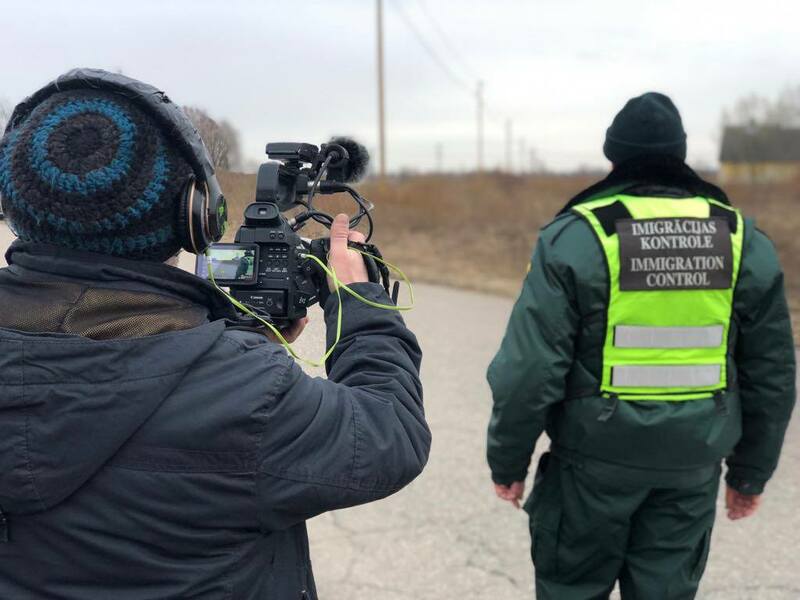 Both the border guard and the police have repeatedly acknowledged that the border area of Latgale is a huge temptation and an object of interest to smugglers and illegal immigrants. This is also confirmed by statistics – over the last five years around 300 offenders were detained only on the Belarusian border, while the amount of smuggled goods detected in 2017 was by 130% higher than in the previous year. Latvia and Lithuania are currently implementing an ambitious project “Creation of a synergy platform for the public security in the Latvian and Lithuanian Eastern border territories”. The goal of the project is to restrict smuggling and illegal border breaches. The geographic position of the border area of Latvia and Lithuania at the EU external border imposes additional obligations on law enforcement agencies in protecting national security comparing, for example, with France or Germany, which do not have an EU external border at all. 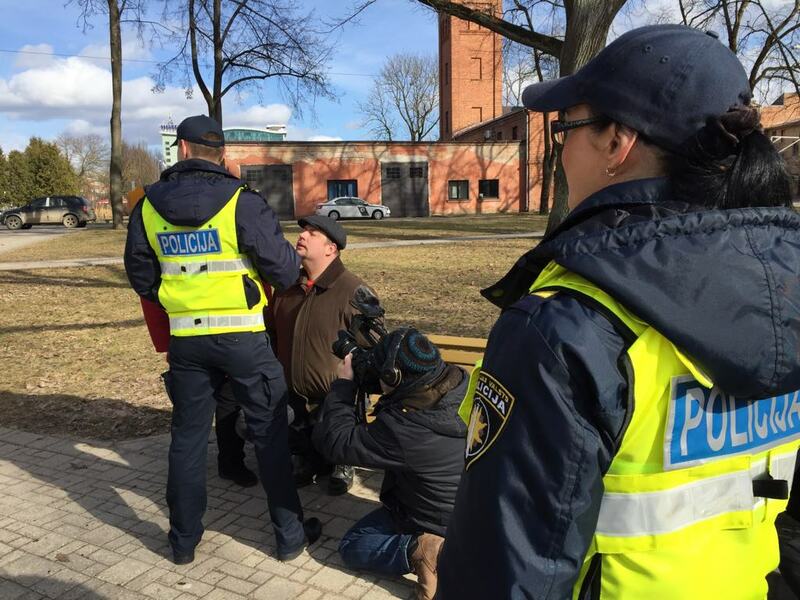 The Latvian and Lithuanian Police and the Border Guards are currently compiling forces, developing new methods and tactics for the fight against illegal migration. On April 24-25, 2018, Krāslava region a training with both sides involved were carried out, examining both binding legislation and analyzing the shortcomings in it, describing the types of delinquency, their changes and analyzing their trends. At the meeting, an analytical game was also launched in the discovery of complex delinquencies, where the joint border police of the Latvian and Lithuanian Police and the Border Guards played an important role. The security structures of the two neighboring countries and the involved municipalities are able to accomplish a great deal, but more than enough can be achieved through the involvement and active participation of all citizens of the border municipalities. Therefore, we invite everyone living at the border – do not be indifferent! Look and speak! Therefore, we invite everyone living at the border – do not be indifferent! Look and speak! Latvia and Lithuania are currently implementing an ambitious, more than half a million euros project “Creation of a synergy platform for the public security in the Latvian and Lithuanian Eastern border territories” involving Latvian and Lithuanian law enforcement agencies – Police and Border Guard, as well as four municipalities located at the intersection of strategic roads between Latvia and Belarus and Latvian-Russian borders. “Intelligent” CCTV cameras, border guards and policing equipment, investments in the training of security staff – all this will bring results. However, the concept of synergy in the project title has not been chosen by chance. Synergy is not just a word. What is synergy? Mathematically it might look surprising: 2 + 2 = 5, or maybe 50 or even 100. The definition of synergy is the result is bigger than the sum of the contribution of all the parties involved. In other words, sometimes 1+1 doesn’t equal 2 but 5. The security structures of the two neighboring countries and the involved municipalities are able to accomplish a great deal, but more than enough can be achieved through the involvement and active participation of all citizens of the border municipalities. Therefore, we invite everyone living at the border – do not be indifferent! Look and speak! The most important thing is to get to know each other and work together! 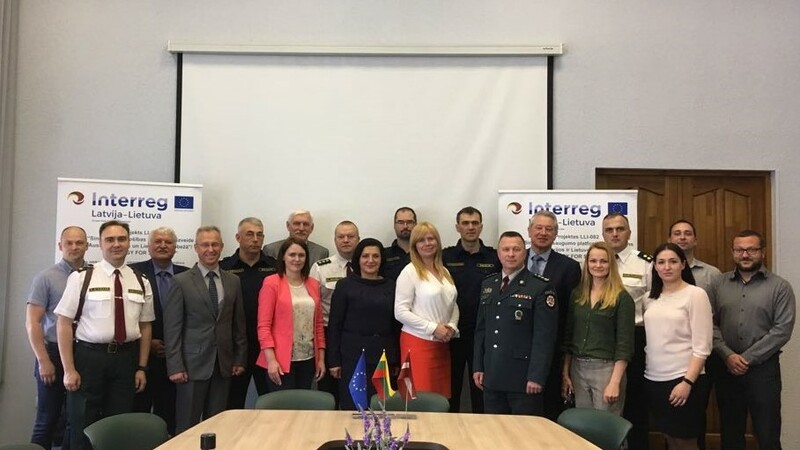 On May 16, 2018, the II meeting of the steering group within the INTERREG V-A Latvia-Lithuania programme project “SYNERGY FOR SECURITY” took place in Karsava district. The report was completed over the course of several hours because in fact that the project was implemented through a study visit to the Netherlands and Germany, an experience exchange tour on intelectual video surveillance systems in Latvian-Lithuanian border territory, as well as thematic meeting on illegal immigration. The project partner was first admitted to the Karsava district, therefore, in the introductory speech, the head of the meeting, Ināra Silicka, Chairwoman of the Kārsava County Council, briefly presented the guests to the Karsava district. Historically, the situation with Karsava and Krāslava has often been mixed, which sometimes brings about some interesting situations. For example, road planners need to work in Krāslava but they arrive in Karsava region. The laughter in the audience was that Silickas confessed that the Kārsava City Council would be delighted if they designed the roads, but the Krāslava City Council would pay for it. However, the two Latgale municipalities have much in common, for example, both of them are of strategic transit routes and both are located in the border area, only Krāslava district is bordered by Belarus but Karsava by Russia. In such a friendly and relaxed atmosphere, the steering group continued. Vytautas Vaiškūnas, Chief of the Utena County Headquarters Police (LT), stressed that there is already a lot of accomplishments, especially in the so-called “soft” part of the project – video surveillance systems in both countries have been studied and analyzed, the experience of European colleagues and latest technologies have been learned, the staff was trained and educated. The topic was continued by Jānis Anspoks, chief of Daugavpils precinct in the Latgale regional administration of the State Police (LAT), who told about the study trip within the framework of the Latvia-Lithuania programme project. 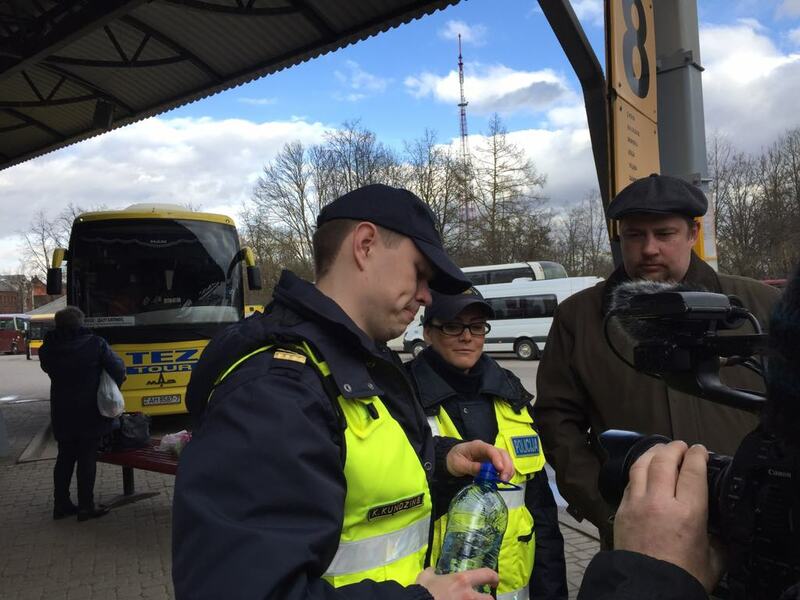 Representatives of the Latvian and Lithuanian Police and Border Guard visited a Kingdom of the Netherlands and Germany. During the visit, the delegation visited Europol headquartered in The Hague, Netherlands. Europol’s objective is to support and strengthen cooperation between the competent authorities of the Member States by preventing and combating organized crime, terrorism and other forms of serious crime affecting two or more Member States, as well as providing strategic analysis and threat assessment. Latvia at Europol is represented by the State Police Officer Andrejs Matīss. He informed the participants of the study trip about the possibilities of Europol support, provided both methodological and material technical assistance in the investigation of criminal proceedings and operational activities in case of detection of international – cross-border crime. Referring to the seminar on the fight against illegal immigration held in Krāslava district in April, Sandis Panga, representative of Latvian State Border Guard Headquarters, emphasized that the successful work should be continued – to organize joint training in both common patrols and driving under extreme conditions. In an unusual way, as the presenters themselves laughed, now, in a so popular duo in Europe, Giulnara Steponiene, the Lithuanian State Border Guard, and Romualds Stašans, the Latvian State Border Guard, were shared account as a joint project exchange experience. 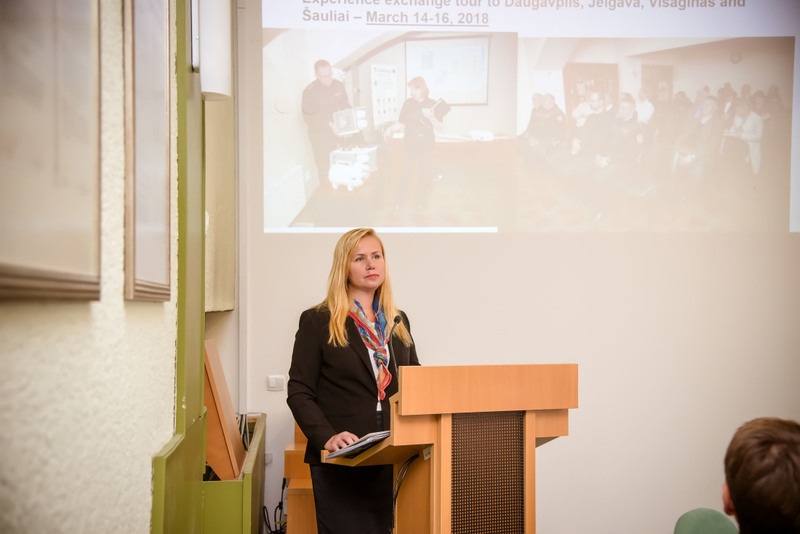 In the beginning of March, 4 municipalities – Daugavpils and Jelgava in Latvia and Siauliai and Visaginas in Lithuania – were visited in the experience exchange trip to get acquainted with intellectual video surveillance systems. The overall conclusion after learning the situation in Jelgava and Šiauliai – Jelgava has evolved greatly in the field of implementation of various “smart” technologies. As G.Steponiene admitted – Jelgava has been in the front of Siauliai for two centuries and continues to develop, while the task of Lithuanian colleagues is to use the opportunities offered by the project to introduce the best experience and technology in their own country as well. As the project partners first visited Karsava municipality, city council management surprised with the impressive program. The visitors had a unique opportunity to visit at renewed Latvian-Russian border line in Aizgārša border control point, to visit the Malnava Collegue, to get an insight into the grand development plans of Ltd “Latgales dārzeņu loģistika”, and, of course, to enjoy the true Latgale hospitality at bakery “Dzīļu maiznīca”. Latvia and Lithuania are currently implementing an ambitious, more than half a million eurosLatvia-Lithuania programme project LLI-082 “Creation of a synergy platform for the public security in the Latvian and Lithuanian Eastern border territories” involving Latvian and Lithuanian law enforcement agencies – Police and Border Guard, as well as four municipalities located at the intersection of strategic roads between Latvia and Belarus and Latvian-Russian borders. “Intelligent” CCTV cameras, border guards and policing equipment, investments in the training of security staff – all this will bring results. However, the concept of synergy in the project title has not been chosen by chance. Synergy is not just a word. Duration: 32 MONTHS (May 17, 2017-November 16, 2019) The project is co-financed by the Latvia-Lithuania programme. Project Lead partner is Latvian State police.